Ritual Dances combine improvisational movement, music and ritual technologies with a shared purpose. Dance is an ancient cross-cultural way of processing life’s joys, sorrows and passages. Embodied, communal ritual gives greater access to emotions and allows the experience of them to be more cathartic and transformative. 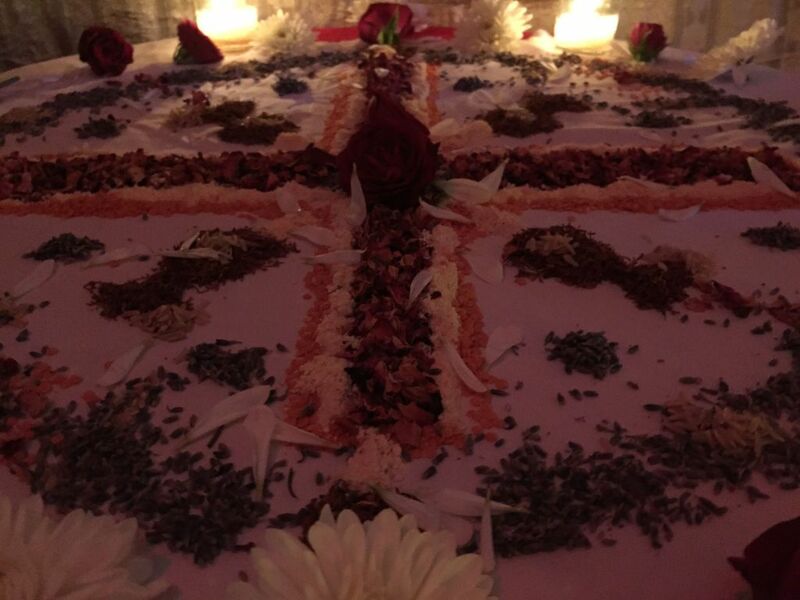 Supported by conscious relationship with the unseen, nature spirits, plant spirits, elemental forces, ancestors or deities, these rituals can be a way to bridge the worlds and come into deeper communion with a greater web of relations. With a strong container and shared intention, participants can dive deeper into an embodied, communal process in service of personal or transpersonal healing. See Events for upcoming dances and trainings.